I wonder what would happen if all of human kind gave up all control and made our decisions based only on emotions. One thing is for sure: there would be no control of anything or anyone! Think back on how many people in your life you wanted to strangle or shoot because they made you angry? This is just a silly thought but if I answered this question, there would be a number of court cases against me. But what stopped me from acting on my emotions? Truth! Truth makes me aware and makes me think about what am I about to do if I acted on my emotion. Example: I want to hurt someone for making a fool of me. Truth: Firstly, it’s not wise to act out of hurt. Secondly, I could hurt him so badly that he ends up in hospital, and then I have to pay up because I couldn’t control my emotions. Another example: I want to do my work my way and at my pace. Truth: I work in an institution where there are rules and laws that I need to submit to as long as I work there. If I don’t work accordingly, I could lose my job. The Brain game: Facts and myths about the brain. 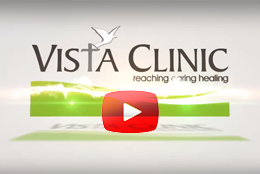 Vista Clinic is proudly part of the Global Adventist Healthcare Network.